Here's an article that I came across that I found quite interesting. 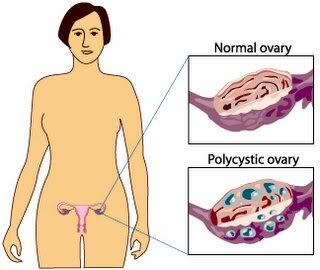 I have PCOS, and it's at it's worst. I will try this and see if it improves my condition. Follow the link below to read the article. I've never heard of your condition but I will research it later, I promise. Have you ever thought of talking to a nutritionist? I had terrible stomach cramps for years and I also felt really tired after eating certain foods and my energy was low so I took a few expensive tests and I found out I have adrenal fatigue and gluten intolerance. So ever since I started taking (in Dec. 2009) supplements such as Holy Basil, and Adrenal Support, and stopped eating foods containing wheat, rye, and barley, I felt a lot healthier. That's a good idea... I will ask about it when I see my PCOS doctor in about a month.